Culinary lavender is a versatile herb for cooking and baking and is gaining popularity among professional and home chefs alike. Edible flowers (fresh or dried) are fashionably used in today’s upscale restaurants and the soft earthy herb flavor of lavender sought after by many famous chefs. 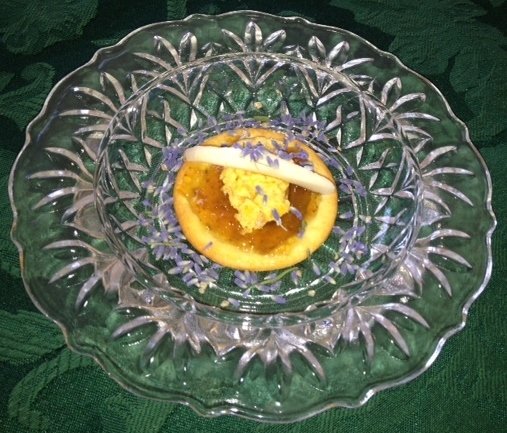 Now you too can add lavender to your collection of herbs and create flavorful dishes to enjoy. Combine chopped apricot, orange juice and brandy in small sauce pan, simmer for 10-15 minutes until apricot pieces are plump. 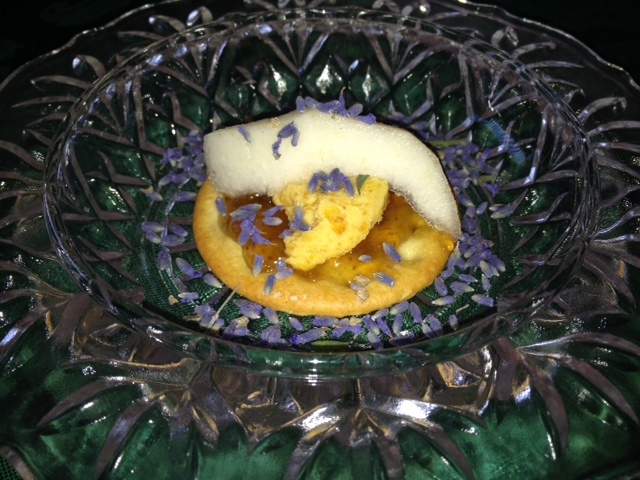 Place softened cream cheese in bowl or food processor, add apricot, fig jam and ground culinary lavender. Process until well blended. Top with pecans. Delicious served as a sandwich spread or on a cracker. For the appetizer pictured above, layer a small amount of fig jam, cheese spread, a slice of pear or apple and top with lavender buds for an elegant hors d’oeuvres’. Enjoy! *When purchasing lavender for use in the kitchen make sure it is labeled “culinary lavender” and free of pesticides and herbicides. My favorite lavender varieties for cooking are from the Lavandula angustafolia sub genus, (also known as English lavender),”Folgate” and “Royal Velvet”. These are less camphoric and lend a softer flavor. 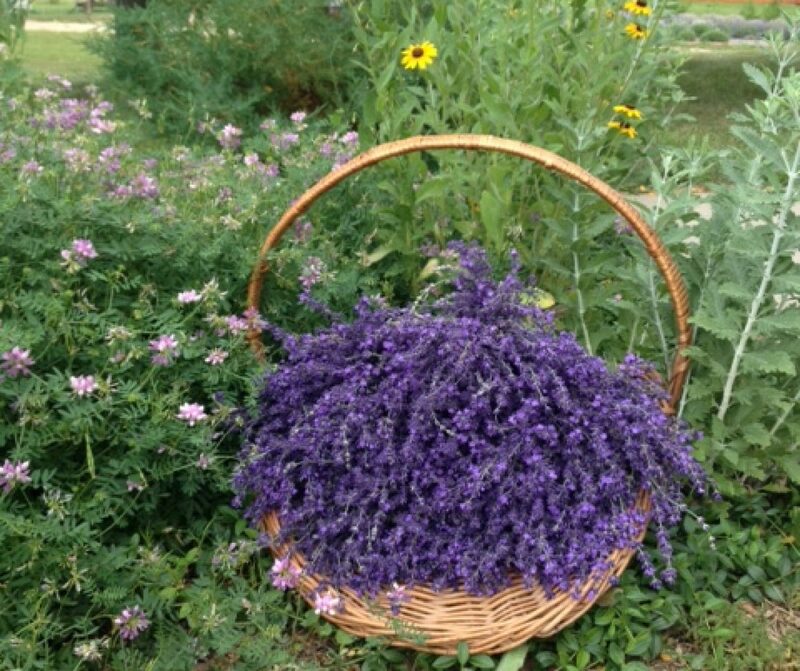 As always, please contact us via phone or email if you would like to purchase culinary lavender, we have the aforementioned culinary varieties available. All our lavender is naturally grown using organic practices, free of pesticides, herbicides or growth chemicals. Previous Need some “Tranquility” in your Holidays? Add Lavender!